In 2011, I lost my job and a short time later, the legal vultures began circling. I couldn’t afford an attorney and I had more time than money, so I used my time to sharpen my skills to fight and win in court. Between 2012 and 2013, I had eight legal actions filed against me. I represented myself and won each and every one of them. Each case became easier than the last, because I was able to use some of the research and information from previous cases. During almost every case, the judge, opposing lawyer or both quoted to me the “fool” proverb. In addition to the tens of thousands I saved in legal fees, I avoided judgments that would have cost over $33,800. Law affects employment, health care, traffic, the food supply and every other aspect of American life. The legal system is increasingly a tool for the rich and is becoming unaffordable to ordinary people. 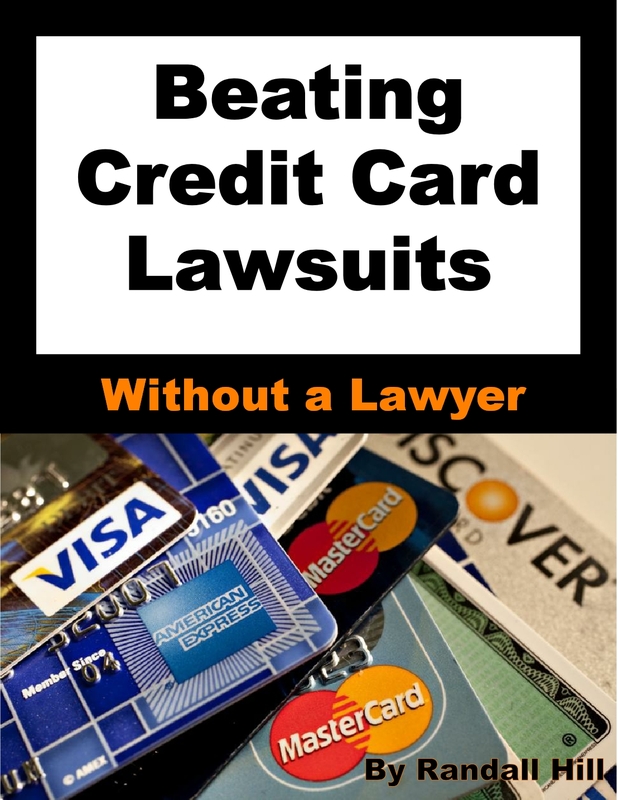 The high cost of attorneys is the primary reason the law is beyond the reach of many people. Corporations and local governments routinely violate the law and your rights because they know most people don’t have the knowledge or resources to do anything about it. There are people who bypass hiring lawyers and navigate the legal system on their own. You can be one of them. Once you learn to navigate the legal system, you can fight creditors, traffic tickets, and respond effectively to any unfair treatment. These words are being written just hours after I watched Michael Brown’s funeral and days after peaceful protesters in Ferguson, MO faced a militarized police response. The irony of this overwhelming police response was that the protest was in response to excessive police action which resulted in the killing of an unarmed teenager. For me, Ferguson is not some obscure point on a map, it’s a place where I have visited and shopped frequently. The police did what police all over the country have done to people who are poor, uneducated and often viewed as less significant than other segments of society. Ferguson received worldwide attention, because people chose to rise up and act rather than continue accepting horrible treatment by the police. The article, “In Ferguson, Court Fines And Fees Fuel Anger” points to a report that states more than half the courts in St. Louis County engage in the “illegal and harmful practices” of charging high court fines and fees on nonviolent offenses like traffic violations — and then arresting people when they don’t pay. “Injustice anywhere is a threat to justice everywhere.” — Martin Luther King, Jr. I received four red light and one speed camera tickets. Most of the tickets came after a job loss when I could least afford to pay a fine. I fought all five camera tickets in court, won and saved over $500 in fines not including any court cost that would have been tacked on. Municipal courts are often operated as cash cows for the municipality. I learned a lot about how corrupt municipal courts can be. I created the website RedLightPhotoTicket.com and wrote my first book, “They Rob You Without a Gun” to explain how I beat my tickets in court. Three of my red light camera tickets were from the city of St. Louis, MO. During a motion hearing, the circuit court judge had ordered the city’s attorney to demonstrate that the municipal court had not violated my due process rights by May 3, 2013. On May 2, 2013 after vigorously trying to prosecute me for two red light camera tickets, the City of St. Louis dismissed them. On the same day the city dismissed my red light camera tickets, the city filed a housing violation case against me and I began receiving other fines and violation notices on my property in what I believe was retaliation for explaining how I beat my tickets. I am fighting some of those fines in the Missouri Court of Appeals. St. Louis’ red light camera program has since been ruled invalid and is under review by the Missouri Supreme Court. Lou Ferrigno, television’s Incredible Hulk, was a skinny kid who was bullied. He began body building to get stronger and protect himself. Jackie Chan endured years of bullying as a child because he was scared to stand up for himself before he learned martial arts. I doubt there are many people who would try to bully Lou Ferrigno or Jackie Chan today. Most of us eventually learned how to deal with our childhood bullies. Unfortunately, as we grew up, a new type of bully emerged; we call them landlords, employers, debt collectors, municipal speed traps, and predatory businesses. Instead of using their fist, these bullies use unfair contracts, fake documents, job loss and the lawyers to intimidate you. Developing legal knowledge will provide protection from bullies, by making you stronger and giving you the ability to fight back. As with all bullies, when you fight back, they will often leave you alone. “The first thing we do, let’s kill all the lawyers”, from Shakespeare’s “Henry VI”, still expresses modern frustration with lawyer’s excessive fees, frivolous lawsuits, corruption and ambulance chasing. Public mistrust of lawyers is as old as the profession; negative comments in writings from ancient Rome, China and the Bible are common. There are more jokes about lawyers than all other professions combined. The jokes below and the countless others should serve as a serious reminder that many if not most lawyers lie, cheat and steal and then some of them become corrupt clerks and judges. “What’s the difference between a good lawyer and a bad lawyer? A bad lawyer makes your case drag on for years. A good lawyer makes it last even longer”. “What’s the difference between a good lawyer and a great lawyer? A good lawyer knows the law a great lawyer knows the judge”. “How can you tell when a lawyer is lying? His lips are moving”. “How does an attorney sleep? First he lies on one side, and then on the other”. At a convention of biological scientists, one researcher remarks to another, “Did you know that in our lab we have switched from mice to lawyers for our experiments?” “Really?” the other replied, “Why did you switch?” “Well, for three reasons. First we found that lawyers are far more plentiful, second, the lab assistants don’t get so attached to them, and thirdly there are some things even a rat won’t do”. As the lawyer awoke from surgery, he asked, “Why are all the blinds drawn?” The nurse answered, “There’s a fire across the street, and we didn’t want you to think you had died”. 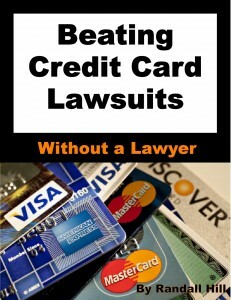 A lawsuit is like war and the lawyer on the other side trying to defeat you is the enemy. In the “Art of War”, Sun Tzu stated, “All warfare is based on deception”. Deception is a tool many lawyers use well. No matter how friendly the opposing lawyer appears or if they advise you to do something because it’s best for you; never forget his only job is to win for his client.